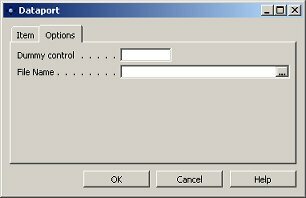 When creating a dataport using the wizard, the request form contains the controls "File Name" and "Direction". 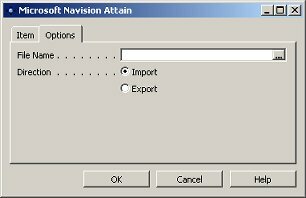 In design-mode, the request form is empty, so these controls are added by Navision at run-time. When controls are added to the request form, you loose the ability to choose a filename for the dataport. 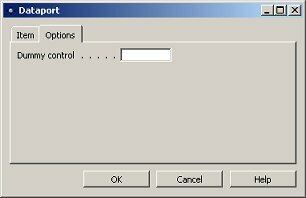 Note: It is essential that the ID of the TextBox control is set to 1. Otherwise, you can't browse for the file when pressing the AssistEdit button.